You know those songs that just beg you to sing along? You remember all the words and you sing your heart out no matter where you are? Yeah, I love those! My current favorite is "Wasting on These Tears on You" by Cassadee Pope. I just get so into it and I'm sure the people in traffic next to me find it hilarious. 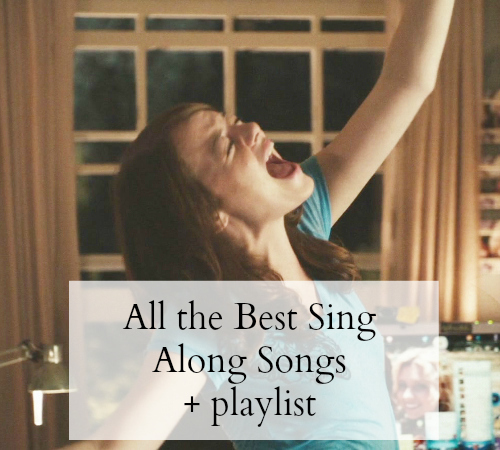 I've included my whole sing along playlist for whenever you're feeling a bit down or just want to pump up the day a bit! It goes from Backstreet Boys, to Disney, to Rick Springfield, so enjoy! Do we like any of the same songs? 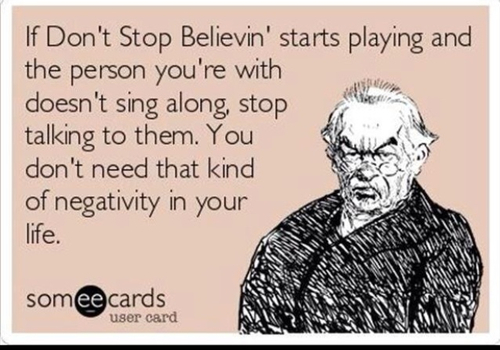 That someecard is perfect! Such a good selection of songs on there!